It’s safe to say that 2017 was the year of influencer marketing. According to a survey conducted by Collective Bias, 70% of millennial consumers are influenced by the recommendations of bloggers and social media stars when making buying decisions. 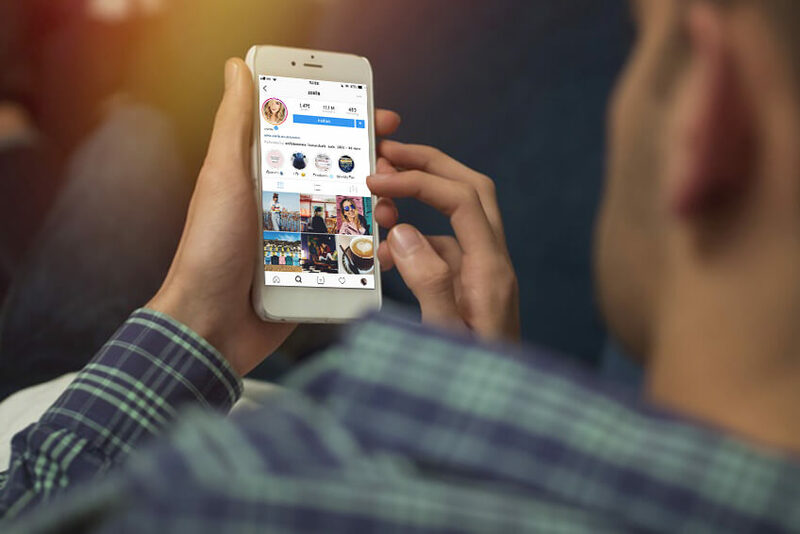 Influencers grew to dominate social media platforms last year, as brands started heavily including them in their strategies in order to help market their products and services to more trusting audiences. With brands looking for ways to get in front of a substantially larger number of people, we don’t see the influencer marketing trend slowing down anytime soon. While we strongly recommend including influencer campaigns as part of your social strategy, as with all other marketing methods, there are cons associated with this trend. It was just last week that we saw social media blogger, Terrie McEvoy – who boasts an impressive following of over 116,000 followers on Instagram, admitting to and apologising for, rigging a brand sponsored Instagram competition in 2015. To give you a brief overview of what occurred, Terrie McEvoy was contracted by jewellery brand, Tower Jewellers, on an influencer campaign in which she was to run a competition to give away two of the brand’s bracelets as prizes. The blogger proceeded to run the competition but ended it by hand-picking her friends as winners. This leads us to question, why has it taken three years to address this issue? It’s time we start talking about the lack of regulation in place for bloggers. This is the main reason as to why they are able to run unethical campaigns such as this one on social media platforms. While the Advertising Standards Authority (ASA) enforce advertising regulations on marketing agencies within the UK, they unfortunately don’t regulate the content which influencers put up on behalf of brands on their personal channels. Marketers need to be more aware of this issue when choosing to include influencers in their campaigns. Craig Jones, director of the ASA has stated when speaking to Marketing Week, that more needs to be done to make brands understand they have obligations under the CAP code to be aware of advertising regulations - regardless of the medium they use. Naturally it comes into question as to why these same regulations are not being applied to bloggers who are part of influencer marketing campaigns. A study by the app Takumi found that of 53 influencers who worked on brand campaigns, 41% had no idea what the CAP code is and 42% never use the required signposting. Craig Jones also told Marketing Week, “It’s going to be an ongoing challenge to work with influencers, particularly when it comes to younger people online. The education process needs to be ongoing." The underlying problem here is a lack of education, there needs to be a learning process in place for people choosing to become influencers. With more and more brands partnering with bloggers for influencer campaigns, it’s becoming increasingly important to provide influencers with rules. Consumers are now aware they are being sold to and so malpractice not only hurts influencer integrity but also causes severe harm to brand reputation. Whilst influencers need to be more authentic in order to protect their fan base, marketers also need to take an active role in helping influencers manage their reputation. A large number of brands work with young, inexperienced influencers who may not understand that the ASA govern them when they are paid to promote products and services and so they must adhere to the CAP code. As the CAP’s guidelines ask marketers to warn consumers that content is paid for before they engage with it, marketers should also take it upon themselves to pass this information on to the bloggers and social media personalities they choose to work with. Last year the Federal Trade Commission put their foot down and told bloggers and marketers what guidelines they need to follow when working together on sponsored content. The FTC’s Endorsement Guides state that “if there is a “material connection” between an endorser and an advertiser – in other words, a connection that might affect the weight or credibility that consumers give the endorsement – that connection should be clearly and conspicuously disclosed, unless it is already clear from the context of the communication.” We feel it’s time the ASA took a page out of the FTC’s guidebook and tighten rules and regulations to ensure influencers are continuously made aware of what they can and can’t do in order to keep online campaigns ethical and fair. There’s no doubt at all that in today’s world of marketing, influencer campaigns are a necessity for brands who want to get their products and services in front of more trusting audiences. But in order to keep consumer trust, there are steps which we, as marketers, should take. Prior to agreeing to a partnership, we need to set ground rules. Having a contract centred around CAP guidelines will make sure the partnership is fair and that both parties involved are aware of the rules they must follow. You can also include a requirement to review influencer’s content before they publish it – this will keep trust present in the relationship while keeping the client brand happy too. We still have a long way to go in regulating influencer content in a more effective way. While we know that agencies should take it upon themselves to educate the influencers they decide to work with, more needs to be done by the ASA to put an end to the running of unethical campaigns. What do you think needs to happen for influencer marketing to become a more trusted and regulated part of the marketing mix?